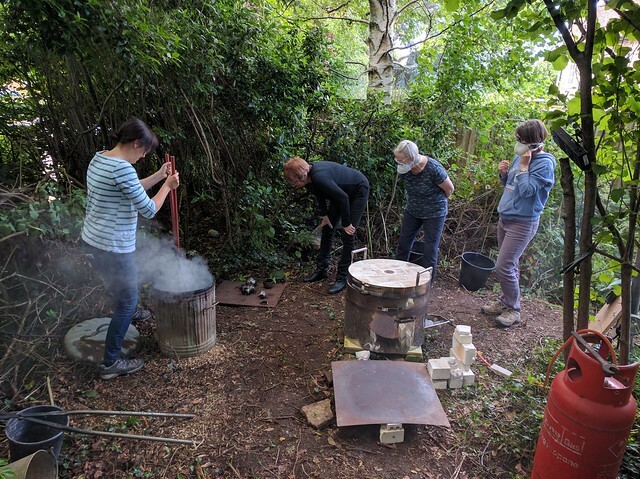 Had a great sunday doing some raku firing with some of my students from Courtyard Arts. Pictured below are Di, Kate, Kirsty and Louise fishing for their pots in the smouldering sawdust bin. Click the image for the full album.